EWG scientists reviewed Beautycounter Volumizing Mascara for safety according to the methodology outlined in our Skin Deep Cosmetics Database. We assess the ingredients listed on the labels of personal care products based on data in toxicity and regulatory databases, government and health agency assessments and the open scientific literature. 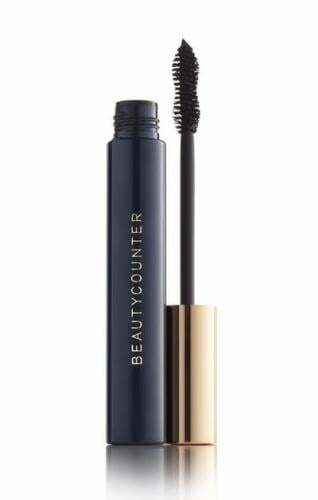 Beautycounter Volumizing Mascara is EWG VERIFIED™. Aqua/Water/Eau, Cera Microcristallina/Microcrystalline Wax/Cire microcristalline, Acrylates Copolymer, Glyceryl Behenate, VP/Hexadecene Copolymer, Palmitic Acid, Cera Carnauba/Copernicia Cerifera (Carnauba) Wax/Cire de carnauba, Oryza Sativa (Rice) Bran Wax, Cellulose, Methylpropanediol, Centaurea Cyanus Flower Water, Aminomethyl Propanediol, Acacia Senegal Gum, Dimethicone, Microcrystalline Cellulose, Oenocarpus Bataua Fruit Oil*, Rosa Centifolia Flower Wax, Jasminum Grandiflorum (Jasmine) Flower Wax, Hydroxyethylcellulose, Sodium Citrate, Myristic Acid, Stearic Acid, Rosa Damascena Flower Wax, Sodium Benzoate, Phenoxyethanol, Iron Oxides.